Step up to the plate with this counting book about America's favorite pastime. 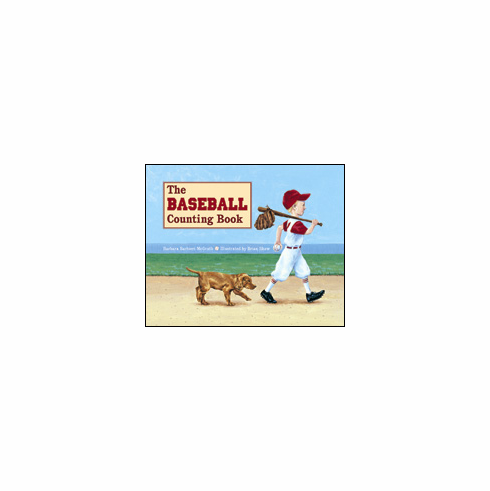 The Baseball Counting Book is spring training for little sluggers. The count is zero to zero when the ump calls, "Play ball!" Nine innings later we've counted balls, strikes, players, fans, and more, all the way to twenty. No one strikes out with these fun rhymes. Little leaguers will find themselves counting their way through practice and pointing out all the new things they've learned about this great game when they watch the pro's on TV or at the parks. Early readers will hit a home run with this charming counting book. From one ball to twenty baseball cards, your future baseball star is going to learn numbers and baseball all at once. Paperback, 11" x 8.5", 32 pages.